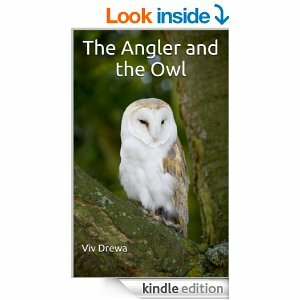 Guest authors: Viv Drewa, the Owl Lady and her novels. As you know on Fridays I bring you guest authors and recently also new books. I met today’s author, Viv Drewa, through a group of authors I belong too, and especially through her efforts blogging and sharing the work of other writers and bloggers. If that wasn’t enough, she loves owls (so do I) and one of her blogs is called ‘The Owl Lady‘. She also has owls in her books, so, how could I resist? Here with you, Viv Drewa! Viv is a Michigan native who has enjoyed reading and writing since 1963. Though she studied medicinal chemistry at the University of Michigan her passion has always been writing. She teaches sewing to physically and mentally disabled adults, a cause close to her heart. Viv also writes for two blogs. Rather than the brief description of the book I decided to leave you some detailed reviews to wet your appetite. The Owl of the Sipan Lord by Viv Drewa is a wonderful novel. The character of Clare Montgomery is woven with dexterity. The web of mystery, intrigue and murder lends additional charm to the work. The plot is gripping and beautifully presented. 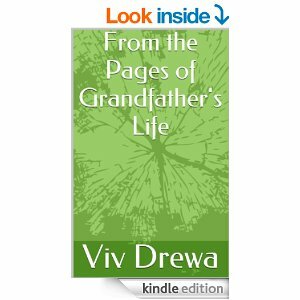 The narrative style is praiseworthy and establishes Viv Drewa as a master of this genre.Read it for a fine plot, gripping story and lifelike characters. Highly recommended. 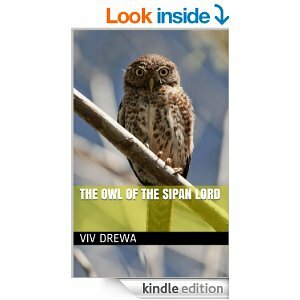 The Owl of the Sipan Lord by Viv Drewa is an action-packed adventure novel centered on the exploits of Clare Montgomery, a widowed 52-year-old archaeologist. She goes on a vision quest to Peru along with Cord Willoughby, intent on discovering the secrets of La Senora de Cao. The mysterious death of Hans Windmueller leaves little doubt as to the presence of evil spirits along the trail. Upon arrival in El Brujo, they find themselves delving headlong into a web of mystery, intrigue and murder. It takes them to the ancient Temple of the Moon, where they enlist the aid of the Lord of Sipan, Cantunta. They find that his daughter Adelgonda awaits in the land of the dead, and only by overcoming the evil goddess can they rid the land of the curse of Cao. The author develops her tale with artistic flair, bringing us into the storyline with authentic narratives of Peruvian society and culture. There is also the midlife element portrayed by Clare’s affair with Cord, leading to the possibility of a pregnancy that serves as a highly unexpected distraction. Yet the dream sequences force the reader to keep their eye on the ball as her visions reveal the imminent danger awaiting them. The theme of betrayal resonates throughout the novel as Adelgonda endangers not only the lives of her parents but her entire clan as her death cult endures. It brings us to a dramatic conclusion as Clare and Cord are brought face-to-face with the ancient demons in a final showdown. For action/adventure fans as well as sorcery buffs, The Owl of the Sipan Lord by Viv Drewa is a worthy addition to your collection. For 25 years France Hunter has been studying owls, and has discovered five new species around the world. Her work has kept her busy and she never had time for a relationship. She travels with Jason “Doc” Bradley, a former paramedic, and his cousins Tony and Andy Bradley. Now, on her last outing she is joined by a magazine writer, Cathy Birch, and a world famous angler, John Sinclair, who has also dedicated his life to his field. As the small caravan travels to the Amazon river France falls and severely injures her left arm. Against Doc’s recommendation to turn back, she pushes on. This is her last trip and she wants to go to the place where she found her first new owl. Once the caravan arrives by the water they are met by seven boatmen, hired by Sinclair, and their canoes. Here they continue on the river dropping France’s group at her location, and Sinclair continuing for two days to the area he wants to fish for his TV show. John is immediately attracted to France, but all she notices is how handsome he is, not feeling anything else. It isn’t until later she discovers she has feeling for John. After landing in his spot he can’t help but feel something is wrong with France’s group. His good friend Mark Ward tells him it’s just love talking and he’s sure they’re alright. John doesn’t buy it but they plan on fishing the next morning. While fishing a blue-ringed owl lands on John’s canoe and looks down the river to where France’s group is, and then looks back at him. This alerts John. He gets the satellite phone and tries to reach her to no avail. He decides the fishing can wait and, with Mark in another canoe, begin the journey back to France. At France’s camp two jaguars attack one of the boatmen severing his left leg. The other two boatmen, they all have rifles, shoot at the jaguars killing one. The other escapes with the boatman’s leg. Doc and the others wake to the noise and he and Tony go to where the boatmen are camping. In the ruckus the canoes become untied and go eastward down the shore and the sat phone is destroyed. Now they have no way to get help and will have to wait for John’s team to come back, which could take three or four more days. Doc dresses the boatman’s leg and they bring him to their area. Safety in numbers. Doc’s supply of penicillin and IV dextrose is limited and he doesn’t think the boatman will make it if they can’t get help quickly. Only a two day supply. As John and Mark head east the water carries them quickly. The get a distance from France’s group and hear gun shots. This makes John paddle faster convinced he was right about something being wrong. John sees the lanterns and runs toward them; Mark follows quickly behind. The learn about the attack and Mark uses his satellite phone to call for help. Will help get there in enough time? Story of a young man’s escape from Russian ruled Poland in 1913. Thanks to Viv for her reblogs, for visiting and for her owls, to you all for reading, and don’t forget to like, share, comment, and of course CLICK! Novedades Literarias. El reino del cielo de Mario Escobar. Os gustan las novelas históricas? #Bookreview UNSTOPPABLE: MY LIFE SO FAR by Maria Sharapova (@MariaSharapova) (@@PenguinUKBooks) Not only for tennis lovers. A gripping story, of single-mindedness, determination, hard-work and love for the game. Thanks to you Viv. Not only do you help all writers but like owls! The perfect lady writer! I hope to have you back with new books soon. Viv is so generous in her reblogging efforts, it is nice to see the spotlight shift to her. Well done, Olga. Happy Friday all. Hugs! Thanks Teagan. That was exactly my thought. And of course, the owl lady would always have caught my attention… Happy Friday! Nicely done Olga. Very good to see the reviews of readers as testament to the quality of the writers books. Thanks Lord David! It’s always amazing to see that writers can get new meanings or sum up our books much better than we ourselves can. Have a great Friday! Friday hugs back! A Friday favourite – guest author post with Olga Nunez Miret – today Viv Drewa who is a great blogger supporter as well as writer. Well done – as always, Olga. Thanks for sharing Viv with us. Thanks Margaret! Yes, Viv is always hard at work helping others. Viv has always been generous in reblogging my posts. Her books sound fascinating and I will certainly be checking them out. Thanks so much. She does deserve it! Thank you, Olga. I will pass this onto a friend in Portugal who is also an Owl person:) Janet. Thanks Janet. Plenty of us love owls… Send my regards to your friend too! And Happy Sunday! Nice to meet you Viv. Thanks for introducing us Olga. 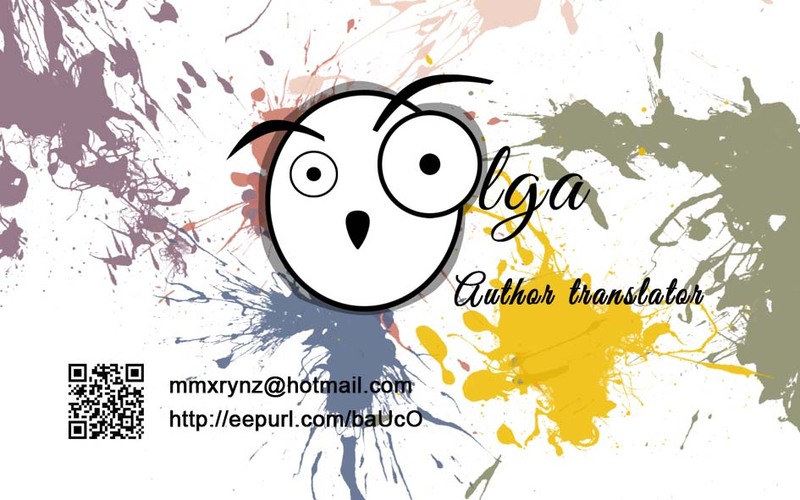 Meet the Owl Lady…a versatile and highly talented writer who also offers generous support to the indie community of writers…thank you Jo Robinson and Olga! Thanks Mira. Viv (and Jo) definitely deserve lots of praise for their hard work. Thanks Seumas! I always have the red carpet ready for your visits! Thanks Patrick. She’s fabulous and I love owls too! She has another novel published, Night Owl, that I shared in another post… She’s fabulous. Thanks, Debby!